If you want to crack the Common Admission Test, you must not only aim for an overall impressive score, but also crack the minimum cut offs in both sections.Sectional cut-offs are equally important for cracking the Common Admission Test.Gone are the days when your CAT preparation strategy meant studying for your strengths and leaving out the weaker areas. It is important to have a strategy in place and gain mastery over both sections. Sandeep Manudhane, Chairman, PT Education says, Make a micro plan splitting your effort into weeks and days. Write down that plan, and stick to it religiously. Remember that a weekly revision across test areas must be a key part of the plan. Do not work on any one test area for too long a stretch. Rotate across areas. It will keep you energised, interested and alive. QA & DI is not the compulsory first section to be attempted in the CAT 2014 unlike the previous years. If you are comfortable enough in this section, you may start with this section. Since majority of the CAT takers are from engineering background, the section is more or less prepared by the CAT aspirants.The following points will help you prepare better in the days left for your CAT 2014 test day. Although it is not possible to prepare for each and every topic that has appeared in the CAT paper over the years, ensure that you do not leave out the important areas or chapters from your scheme of things. Vinayak Kudva, Head, PG, IMS India explains, Students usually find topics such as Modern Math tough but you must remember that Modern Math questions in the CAT are not always tough nor are Arithmetic questions always easy. Your aim is to maximise your score in all sections, you can do that by solving all the easy questions. With 50 questions to a section, you cannot afford to leave questions out. If you leave out Modern Math entirely, you have narrowed your selection to only the easy questions in Arithmetic and Algebra. However, there would be some areas, which by now you have realised are not your cup of tea. In that case, focus on your strength areas and leave out the others. Sohini Deb, an IIM Kozhikode students strategy will give you an idea on this. As my Data Interpretation scores were not up to the mark, I made up a strategy to attend only one DI question and other questions from quant section, says Sohini. As the first step of any preparation is to know the basics. Go through the past years analysis and question types to know which are the areas and topics with major weights.If you are not too strong with those topics, start with the basics. Dont hesitate to go back to your old school or college books to learn the basics. 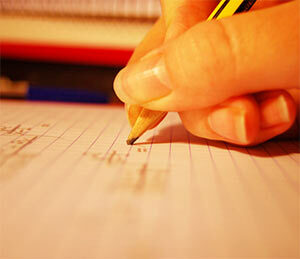 To know the question types, solving the previous years question papers is the best solution. Arijit Gorai, 99.87 percentiler in CAT 2013 and an IIM Calcutta student suggests, I solved the previous year’s CAT questions from books. For QA, Arun Sharma gives a good collection of problems. Rewa Kulkarni, a student of SIMSREE mentions, For Quantitative Aptitude the only strategy I followed was to clear the basics and practice hard. As mentioned in the above point, there are certain important areas in the Quantitative Ability and Data Interpretation section which you must not leave out. But you must also take care that those areas or chapters get high focus during preparation. Don’t be reluctant while preparing for important topics like Number System, Arithmetic, Modern Math or Geometry.Prepare in such a way that no matter how tricky the question is, you can crack the solving process within few minutes. Sharing her strategy, Sohini mentions, For Quantitative Ability, the focus was on few chapters like arithmetic and geometry. I used to collate formulas from various sources and practiced problems every day. Practice is the universal preparation strategy for the toppers and experts alike. There is no substitute for regular practice which will help you ace your weaker areas and make the areas of strength even stronger.Practice also includes taking regular mock tests, whether full length or sectional depending on your stage of preparation. For QA, practice makes a man perfect is the only mantra, like solving Quantitative aptitude problems from Arun Sharma, suggests Gagandeep Singh Pannu who obtained 99.97 percentile in CAT 2013 and studying in IIM Rohtak. Arks Srinivas, CEO, VistaMind Education shares the list of important topics and the number of questions which come from those in CAT.Based on the following table, you can decide the importance of the topics and the preparation strategy. Lets look at the preparation strategy for Verbal Ability and Logical Reasoning section. This section is often considered as the weakest area for many aspirants who are confident enough to solving tough Quant problems but get petrified in reading a passage of 300 words and find out the questions following it. But irrespective of your comfort level with the section, you have to prepare for it and the following points will give you the preparation strategy for Verbal Ability and Logical Reasoning. Reading is the best strategy for dealing with Verbal Ability and Logical Reasoning Section. It will not only improve your vocabulary but also your ability to understand and comprehend a lot faster. VA and LR, more focus on reading newspapers (the Hindu and ET), articles (business related, arts and Economy) and business magazines,says Gagandeep. Vocabulary is an important aspect of the Verbal Ability and Logical Reasoning section. Owing to the difficulty level of the exam, it can be very well expected that the words will not belong to the category of regular conversation. Follow the tried and tested methods of vocabulary learning include books such as Word Power, Barron’s etc. Writing down words and their meaning and utilizing them in sentences. I used Barrons religiously. Consciously looking for words, associating them with what I had learnt or prepared and revisiting them again and again helped me with Verbal Ability. I used to play games on Vocabulary.com which was both fun and educative, states Ancy Verghese, an XLRI Jamshedpur student who scored a good percentile in CAT 2013. Grammar is a default topic in the Verbal Ability and Logical Reasoning section. If you are a regular victim of grammar Nazis, it is time for you to go back to basics and curb the problem. Wren and Martin is the best way to start with grammar basics.Take help from your mentors or seniors wherever you are getting stuck. There’s no better way to gain good grip over an area other than practice. Practice RC passages and other English Usage questions like Fill in the blanks, Para Jumble, Sentence Completion etc. Take sectional mock tests to get an overall practice regularly. For VA, I practiced RC regularly. It is important to practice different types of RCs along with mock tests and other papers available online, they are of immense help,mentions Arijit. Logical Reasoning is all about understanding the trick hidden in the question. Go through the past years’ CAT questions to find out the trends.Solve crossword puzzles, Sudoku, riddles on blood relations, family tree etc. If LR is your strong point, start the section with the Reasoning questions so that you are confident enough to solve the other questions of the section as well. Logical Reasoning was my forte. I used answer them first and then move to RC and vocabulary part of the test, says Sohini. But if LR is your weak point, practice is the key.